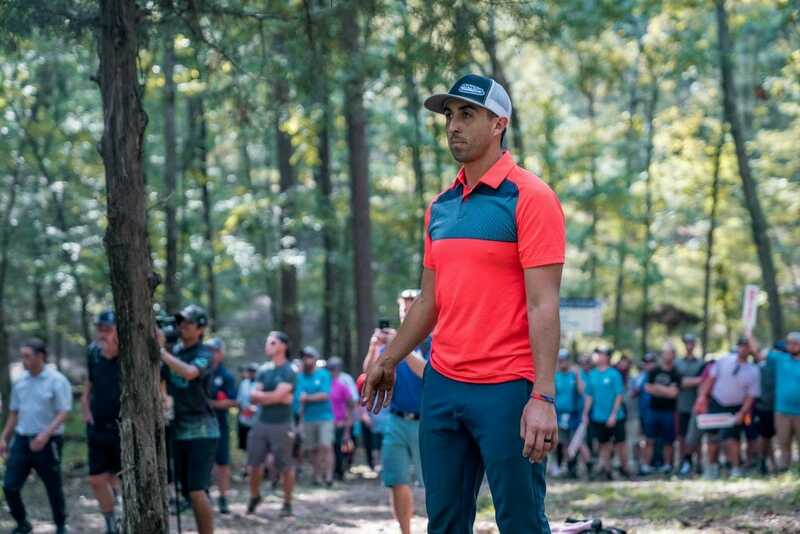 If there can be a blemish on a four-time world champion, two-time U.S. champion’s resume, Paul McBeth may have one, and it’s winning at the International Disc Golf Center. McBeth has played well on the courses, including W.R. Jackson which was used exclusively for the 2018 Ed Headrick Hall of Fame Classic. Things just never seem to break his way. For example, McBeth played well enough to force playoffs at the last two HOFCs but lost both. Could those losses have been lingering on McBeth as he went into the final round Sunday with a slim one stroke lead? A fellow world champion was in McBeth’s way if he wanted to finally break through in Appling, Georgia, and Gregg Barsby made sure that things were not going to come easy. 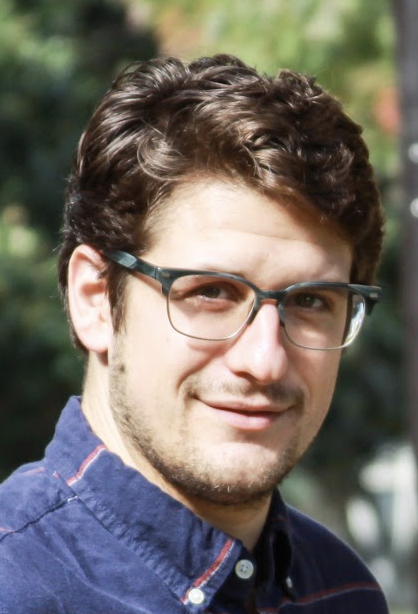 “It was expected with Gregg there,” said McBeth. Barsby made his presence felt early, using the same pink Aviar he’s so comfortable with to chip-in a 100-foot birdie on hole 1. He backed it up with a birdie on hole 2 to tie-up the scorecard. McBeth retook the lead, and extended it to two, on holes 7 and 8. Barsby, however, had his putter working. Between the eight hole stretch of 6-13, both players went 6-under par with six birdies. McBeth was getting into better position on almost every shot, but Barsby was answering every everything, and doing so with gusto. Four of his six birdies during the middle section of the course came on Circle 2 putts — Barsby finished 71-percent from C2 for the round. “I finally found my putter,” Barsby said after the round with a smile. He had pulled his decifict back to one stroke going into the final five holes. And had it been for some sharper drives from Barsby, we could have been talking about a different outcome to the tournament. On the top of the box on the par 5 hole 14, Barsby released early and hit a tree before making the corner off his drive. This could have been the first chance McBeth had to seize control, except he was also unable to find the line and was pinched at the edge of the fairway early. A similar series of events would play out on hole 15. Barsby would again mistime his release on hole 17 before getting some World Champ love and working himself into position for a putt. But the ill-timed shots came to a head for Barsby on the final hole, where he found himself off the fairway and nowhere near the green after two shots. McBeth was outside Circle 2 but with a clean look at the basket for his third. With the lead still in hand, McBeth only needed a lay-up unless Barsby could do the impossible. “The line was there to put it in, so I was a little disappointed to leave it short,” Barsby said. “That would have been some real, real drama. Barsby’s forehand through the woods almost drew metal, and had it had a touch more height, McBeth may have been facing another sudden death playoff in Georgia. Instead, he walked away with the win. McBeth and Barsby shot 10-under par 58s the final day, with McBeth finishing the event at 28-under par 176 total, and Barsby finishing in second at 27-under par 177 total. McBeth has now won three straight tournaments — two National Tour stops and USDGC — since Pro Worlds, has finished only one round during that time outside of first place, and, with the HOFC victory, extended a streak of eight consecutive years in which he has won at least two NT events per season. Eagle McMahon and Michael Johansen were able to work their way up from chase card to a tie for third with JohnE McCray at 22-under par 182 total. Johansen tied the hot round 10-under, and McMahon secured his National Tour season points victory. Chris Dickerson finished in solo sixth, his best finish at an NT or major this year. Watching McCray hit an outside the circle turbo putt eagle on hole 18 to jump back into a tie for third was even more exciting than Barsby’s near throw-in just moments before. A sight to behold before the awards ceremony was Christian Cruz winning every.single.raffle.item. He dropped about $200 on tickets throughout the weekend and walked away with a DGA MachShift, Innova Discatcher Sport, Discraft Chainstar Lite, and RECTEC RT340 Grill. The prizes were drawn one-by-one with Cruz walking back to the patio to claim each one. He just stayed nearby after the first two baskets were won. Comments on "McBeth Tops Barsby In Hall Of Fame Back-And-Forth"